Big news for Sailor Moon Fans this week! Not only is the new series coming out this summer, but the original is being remastered and rereleased, both on Blu-Ray and Hulu. Oh, and without the changes and censorship that stymied American fans in it’s previous release. It’s such big news that even the Wall Street Journal is covering it, how cool is that? In celebration I decided to pull this one out of the vault. I painted it a few months ago but never posted it. This seems like as good an occasion as any! What do you think? Did you ever watch Sailor Moon? And what should I paint next? 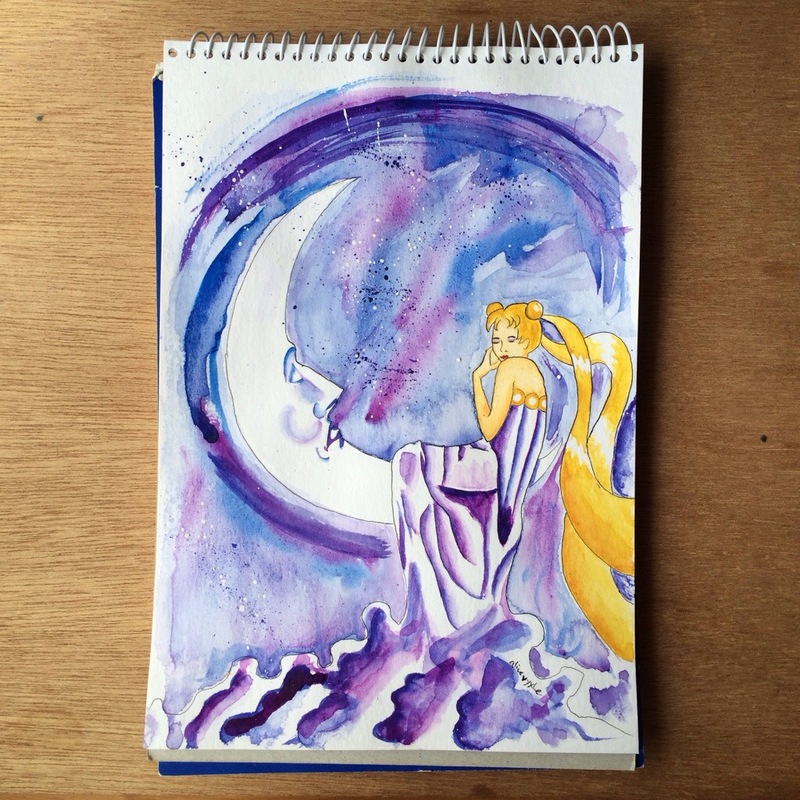 This entry was posted in Art and tagged Art, I painted this, illustration, moon, my art, painting, sailor, sailor moon, serenity, usagi, watercolor. Bookmark the permalink. Nice! I think the moon’s face came out especially well. Nice shading!